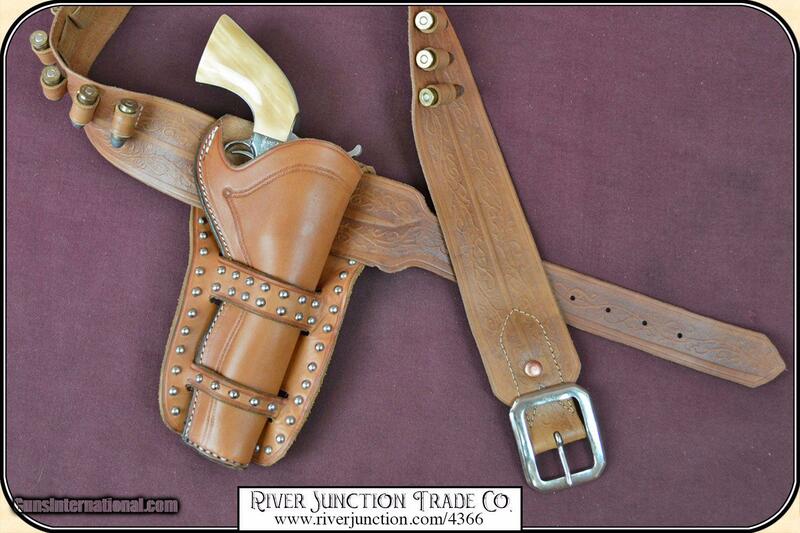 Authentic cowboy Cartridge Belt for .45 Long Colt, .45 Schofield, .44-40, .44 special, .44 Russian, .38-40 Nickel plated buckle ~ fine natural leather ~ natural stitching 2 1/2 in. 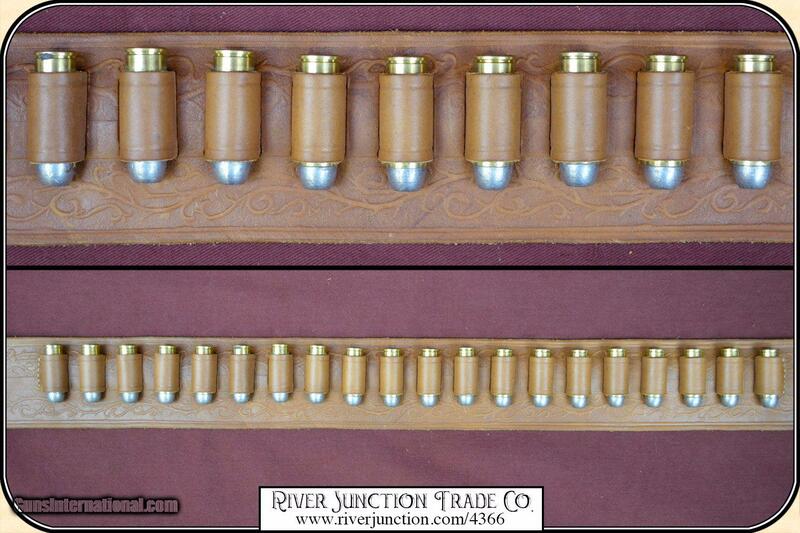 wide ~ holds 20 cartridges. 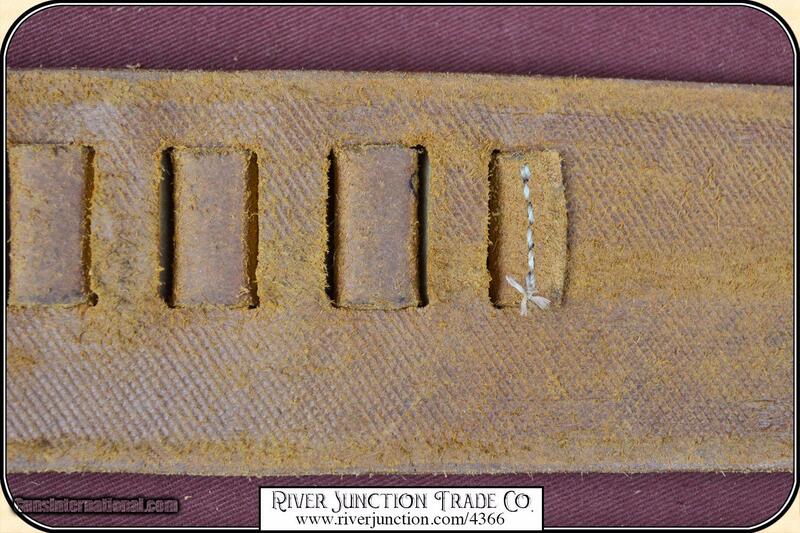 River Junction made in the U.S.A. 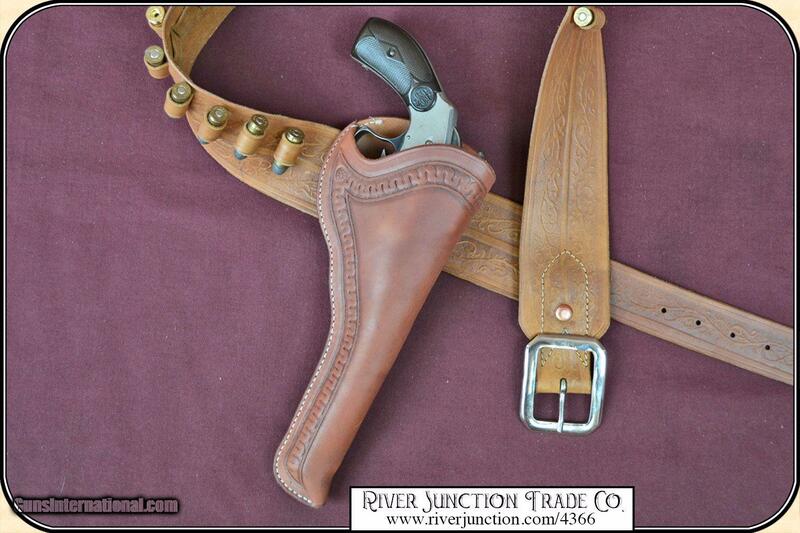 This belt is of light weight leather because that is how it was done in the 1870s and 1880s. 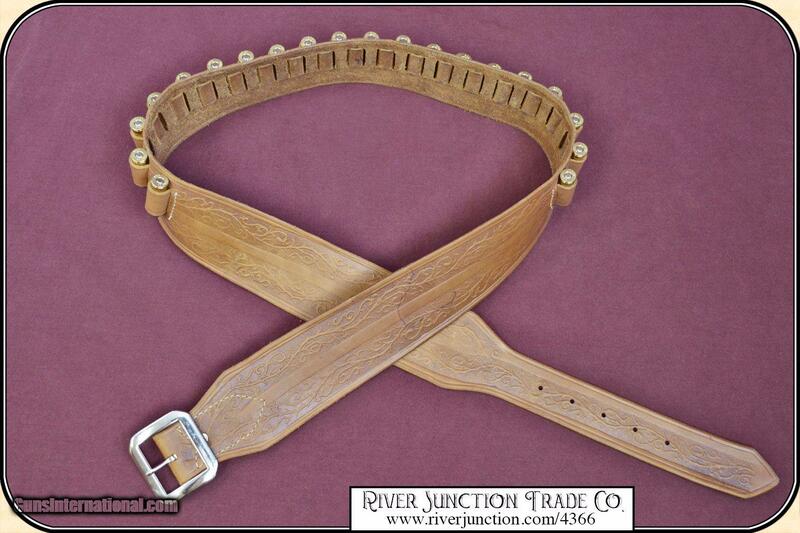 These belts were often purchased from a catalog warehouse back east. This is not a Hollywood rig but the real deal. 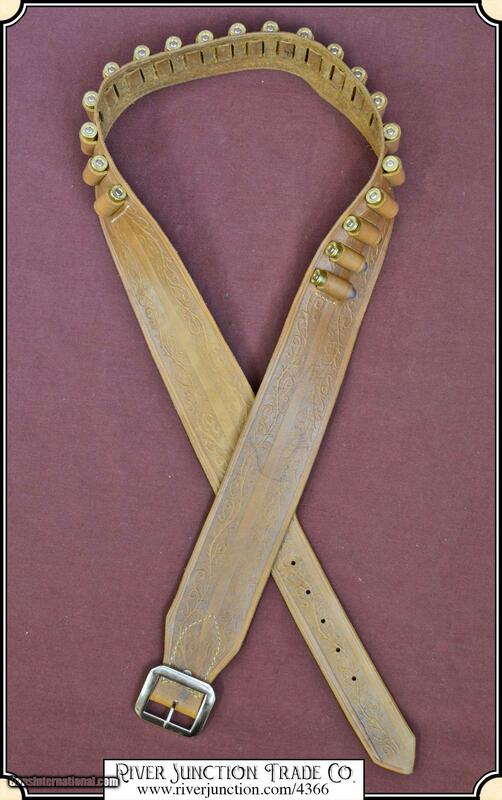 A belt like this was often worn all day long and it was thin and soft to make it as comfortable as possible. 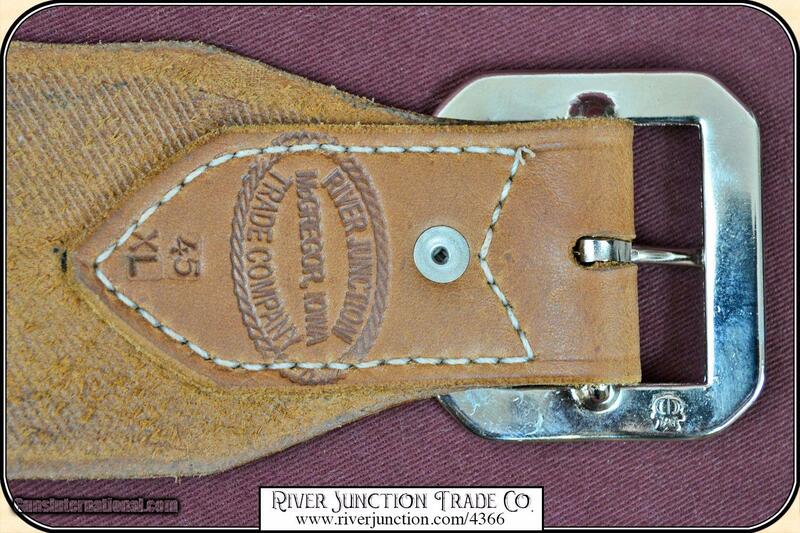 To fit your cartridge belt, add to you waist measurement 5 - 6 inches. 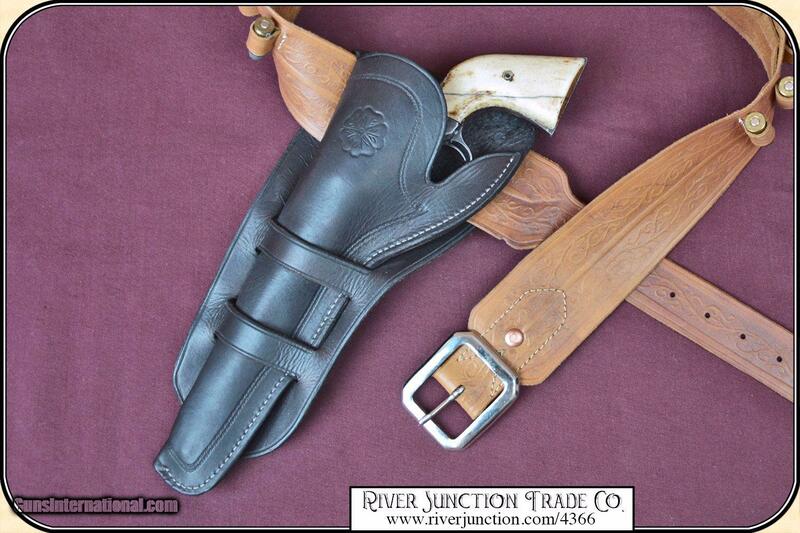 For example, a 33" waist will wear a 38" size belt, giving you plenty of room to sling one or two holsters from your belt. Cash, postal money order, cashiers check, personal & business checks. 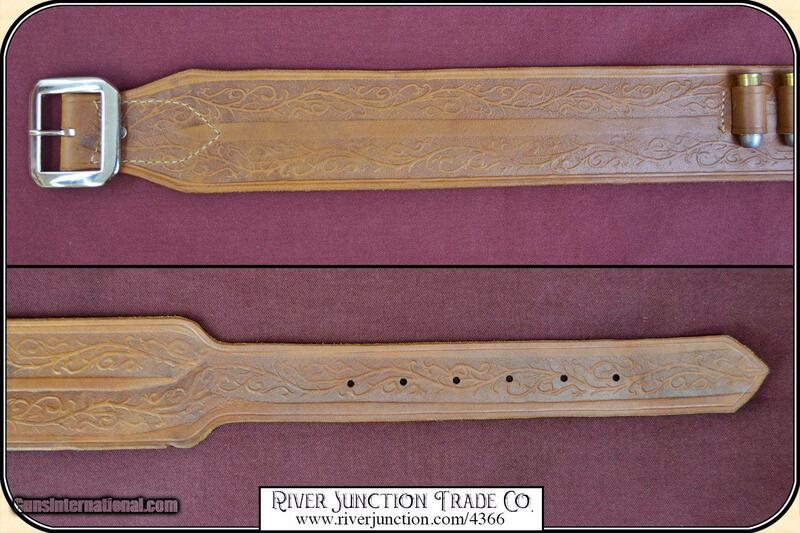 Can be ordered with a credit card or paypal at wxx.riverjunction,cxx just type in the number 4366 in the search box.